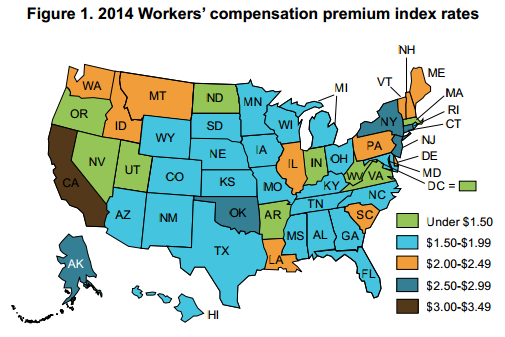 A list of state rankings for workers’ compensation premiums shows a slight drop in premiums in the last two years, and that a number of states are close in terms of how much employers are paying. 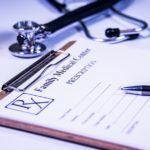 The list put out by the Oregon Department of Consumer and Business Services once every two years shows the 2014 median value of workers’ comp premiums paid was $1.85 per $100 of payroll, a drop of 2 percent from the $1.88 median in the 2012 study. National premium rates range from a low of 88 cents in North Dakota to a high of $3.48 in California, the report shows. 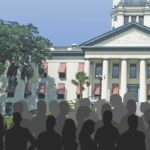 The list also shows 21 states within 10 percent of the median and the range from highest and lowest rankings has been shrinking, according to Jay Dotter, who put the report together. 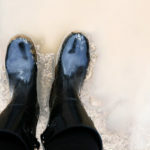 The effect is that it makes the list more “volatile,” Dotter said, adding that it’s important to note that volatility because some states use the list to measure the performance of their workers’ comp system. “A small change in the index rate can give you a larger change in ranking,” he said. As an example of a state that relied on the list to make changes Dotter pointed to Hawaii’s workers’ comp administrators, who noted their top 15 ranking in the 2006 report and put notice of the poor performance on a state’s website and publicized it to help champion reforms that were eventually passed. The state was ranked 27th on the latest report. Oregon’s workers’ comp system was in sad shape when the state began to compile the list in the 1980s in order to evaluate itself and push for reforms that were eventually passed. The state went from 6th place on the list and was 43rd on this year’s list, its best performance to date, according to Dotter. The study puts states’ workers’ comp rates on a comparable basis using a constant set of risk classifications for each state. This study used classification codes from the National Council on Compensation Insurance. Following California’s $3.48 per $100 in payroll was Connecticut ($2.87) at No. 2 on the list, coming in it at 155 percent above the national median workers’ comp premium. New Jersey ($2.82), New York ($2.75), and Alaska $2.68) rounded out the top five. 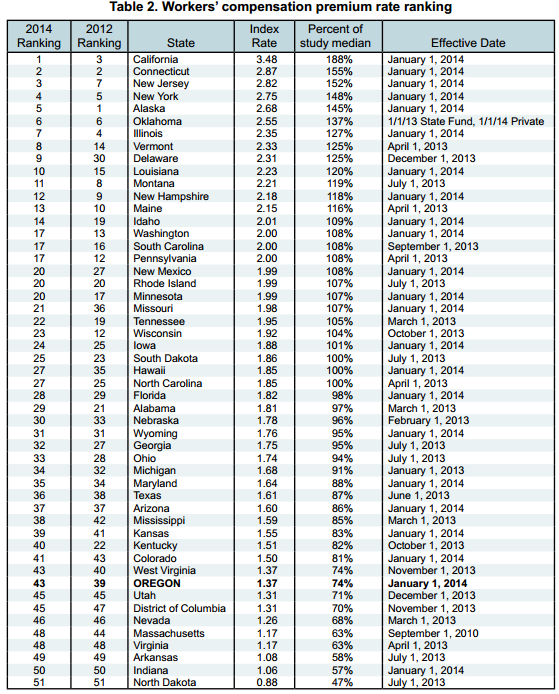 North Dakota (88 cents) was at the bottom of the list, which makes is the cheapest state for employers. It has traditionally ranked lowest, and the state retained it’s ranking from the 2012 list and also saw a drop in premiums from $1.01. Other states where workers’ comp is far below the national median for workers’ comp premiums are Indiana (at 50 percent of the national median), Virginia (61 percent), Arkansas (64 percent) and Massachusetts (68 percent). Doesn't even begin to reflect benefits to workers only interested in how it effects the business owners in dollars.